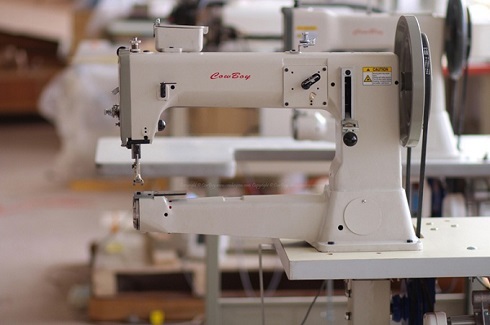 Heavy duty industrial sewing machines and Automatic pattern sewing machines sale in India- for the Indian manufacturers of lifting slings, cargo lashing strap, safety harness and fall protection equipment, climbing ropes, leather sofas and arm chairs. 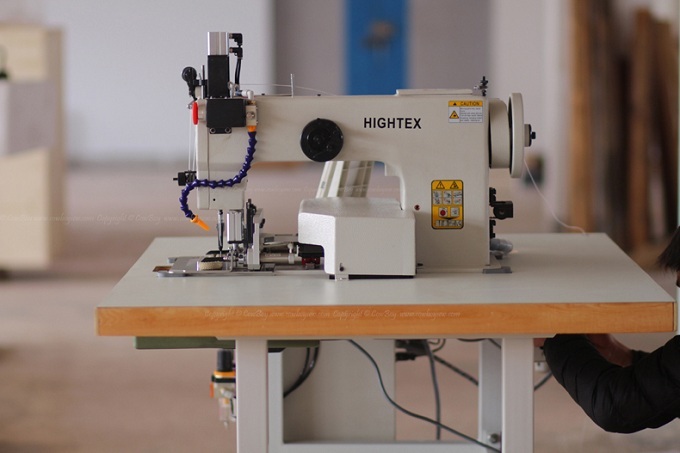 Because of the low labor cost, India is the largest growing market of industrial sewing machine, especially the garment sewing machine, everybody could see that. So Indian market is becoming the major goal of Chinese industrial sewing machine manufacturers! For heavy duty industrial sewing machine and automatic pattern sewing machine, India could be big market, as thousands of Indian manufacturers for the production of heavy duty lifting slings, cargo lashing strap, safety harness & fall protection and safety ropes. 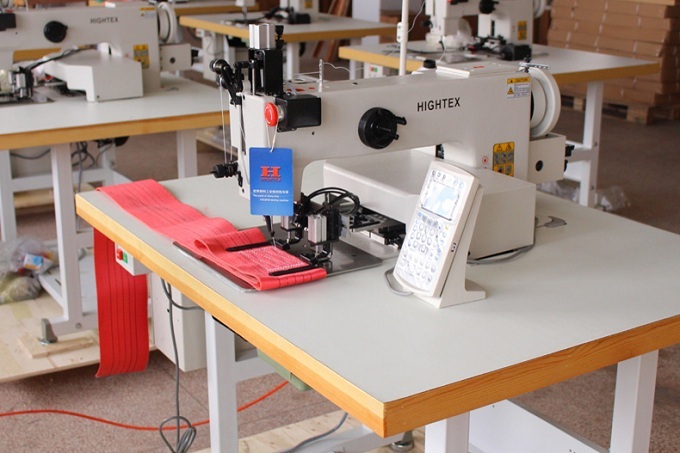 However HighTex heavy duty industrial sewing machines are very special, it is very difficult find a professional Indian sewing machine dealer or distributor who really know these specialized sewing equipment well. We know Mr. Firoz from INDIA SEWING MACHINE COMPANY for about 10 years, they have very good experience with heavy duty industrial sewing machine, but they focus on SEIKO brand sewing machine, do not sell many of our machines. Luckily we know Mr. Saurabh from FERRETERRO INDIA PVT. LTD (the leading Indian manufacturer, exporter and supplier of industrial slings, cargo bars, industrial lashing). From 2006, Mr. Saurabh keep purchasing heavy duty industrial sewing machine from us every year, for their factories in Noida, Uttar Pradesh, India and Dubai. Today Mr. Saurabh is not just our old client, but also our life time friend. We always show best respect to Mr. Saurabh!! No professional Indian sewing machine dealer or distributor drives us to sell machines to Indian webbing slings manufacturers and sofa manufacturers directly. 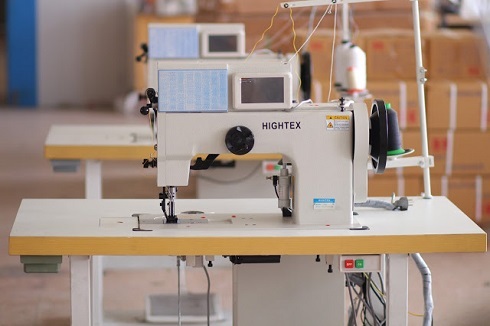 Because of good quality, service and reputation, we sold many heavy duty industrial sewing machine and automatic pattern sewing machine to Indian manufacturers directly. We have sold many automatic rope stitching machines to India, including an India heavy duty industrial sewing machine dealer in New Delhi - India, the leading manufacturer of safety footwear and safety harness in Kanpur, India, the continental manufacturing company of personal protective equipments in Haryana, India, and a heavy duty industrial sewing machine dealer in Kanpur, India. This heavy duty automatic sewing equipment is purchased by the leading manufacturer of lashing & lifting slings in Noida, India. 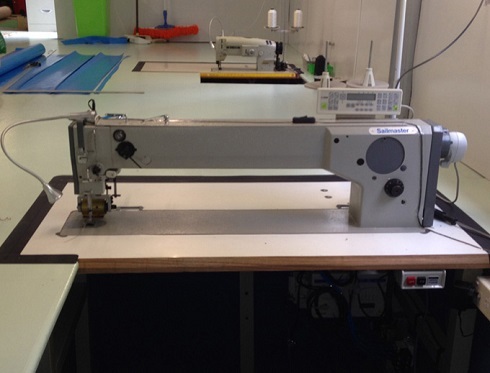 The latest heavy duty automatic pattern sewing machine for cargo straps, safety harnesses and lifting slings. Most affordable function/price ratios to match your budget. 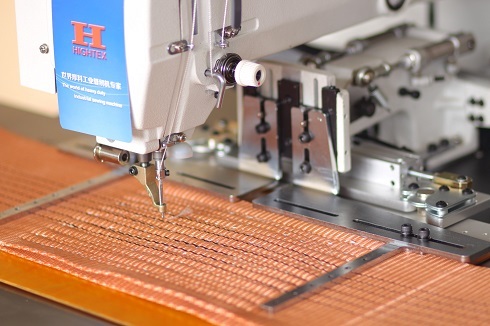 With this automatic sewing equipment it is possible for small factories / production companies to make the first step to automated production for inexpensive price. Automatic bobbin changer is available as option, automatically replaces empty bobbin case with thread-full one for non-stop stitching. This heavy duty programmable endless slings sewing machine adopts extra large rotary hook and bobbin capacity (6 times bigger than normal) reduces the number of bobbin changes even for thick thread Metric #10, V277, T-270, 840dx3. Can easily sew 2-3 ply high-density synthetic slings (with each 3.5mm) together, in the production of cargo lashing straps, lifting slings, parachutes harness, backpack straps, military gear, harness and fall protection equipment. 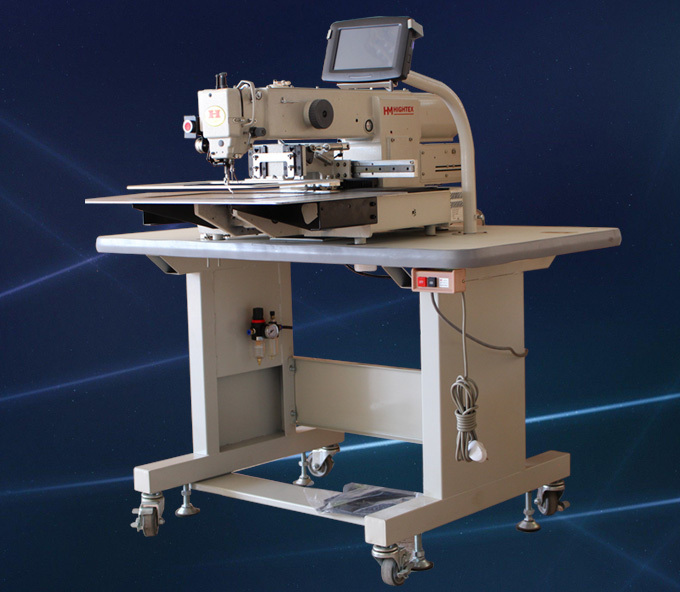 This automatic endless slings sewing machine purchased by a leading manufacturer of synthetic lashings and lifting slings, located in Ahmedabad, Gujarat, India. 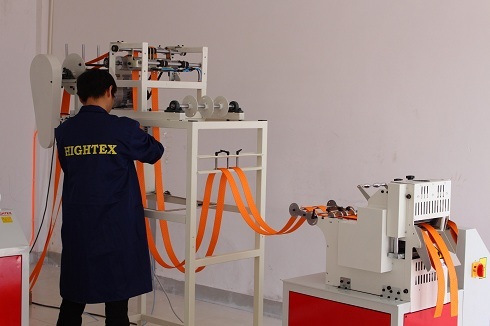 828B Automatic lifting slings cutting machine (hot cutter) with automatic feeding equipment: this heavy duty hot knife webbing cutting machine is designed for heat cutting 200mm webbing made of Nylon, Polyester, Polypropylene. The temperature of top and bottom heating blades is up to 600 C. It is almost necessary to have automatic feeding device if you put lifting and lashing straps in trolly, instead of rolls. This automatic webbing hot cutting machine purchased by a leading manufacturer of synthetic lashings and lifting slings, located in Ahmedabad, Gujarat, India. The lowest cost automatic programmable pattern sewing machine available on the market today; This inexpensive automatic pattern sewing machine is not same as other cheap programmable sewing machine, but use the best Chinese electronic controlling system;The large sewing area of the HighTex MLK200-3020 allows it to be a versatile electronic pattern industrial sewing machine for use in many different sections of the clothing and textile industry. This ornamental pattern sewing machine is ordered by a producers of high end luxury sofas in Bangalore, India. 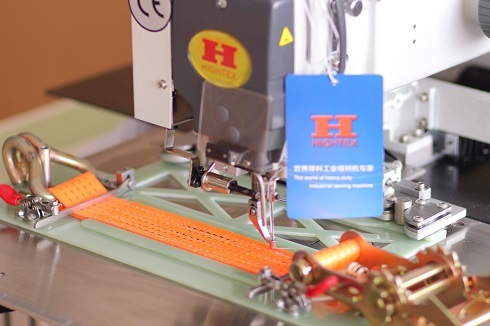 Twin needle, rotary needle bar, ornamental stitch industrial sewing machine for decorative stitching on high end furniture and sofas, marine upholstery, shoes uppers, suitcases, bags, canvas, backpacks, automotive trim as well as heavy fabric, such as jeans, big sunshade, tents and sofas. 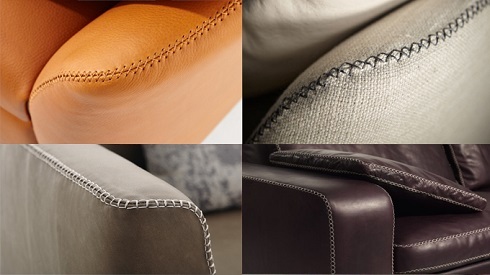 This ornamental stitch sewing machine is designed for high end furniture and sofas manufacturers, especially when thick thread decorative seam is required. This special sofa sewing machine purchased by a big furniture manufacturer in Unnao - India, and a automotive upholstery company in Noida, India. 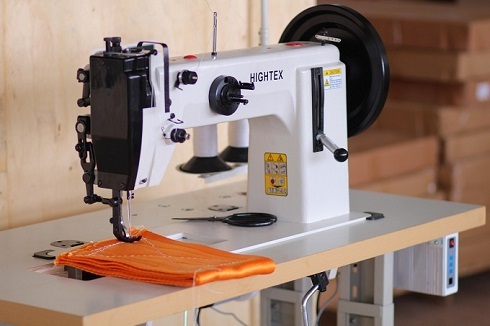 This low cost industrial sewing machine has the best sell to lifting slings manufacturers in India. Purchased by the leading manufacturer of lashing & lifting slings in Noida - India, as well as their oversea factory in Dubai. A manufacturer of lifting belts in Pune - India. A manufacture of Polyster lifting slings in Mumbai - India. A manufacturer of polyester webbing slings in Gujarat - India. 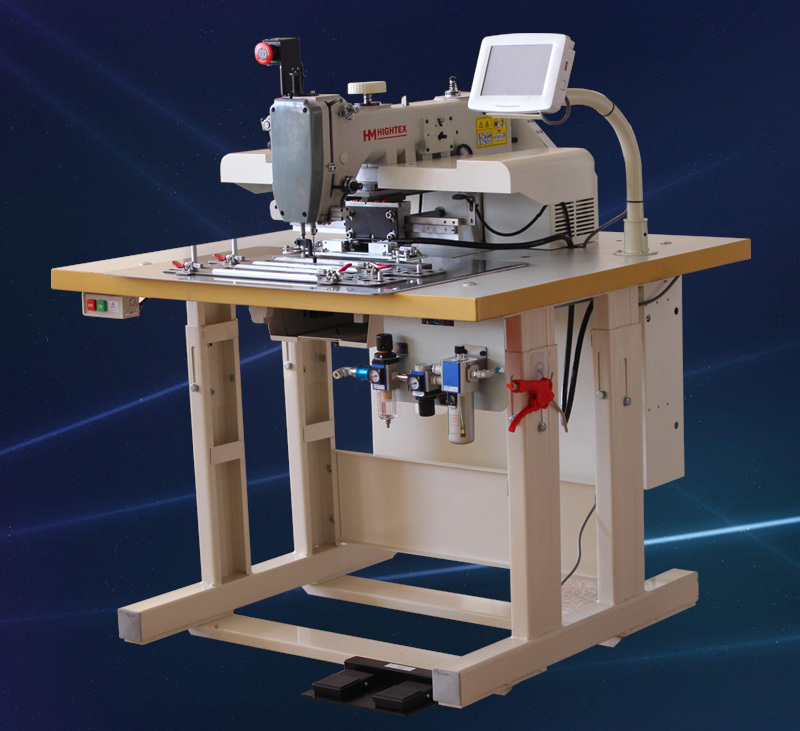 This leather sewing machine purchased by a sofa manufacturer in India, an industrial sewing machine dealer in Pune - India, the leading manufacturer of lashing & lifting slings in Noida, India. This spinnakers sewing machine purchased by a sail loft in Mumbai - India. 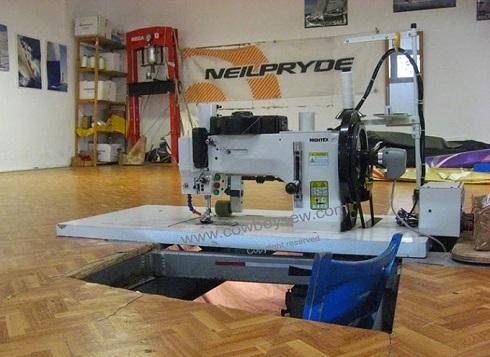 The greatest industrial straight stitch and zigzag sewing machine for sail makers and repairs who are looking for an extra heavy duty 3-step zigzag machine. Covered straight stitch, 1-step (2-points), 2-step (3-points), 3-step (4-points) zigzag. Can stitch more than 20 oz. sailcloth, using thick thread up to V207 and needle #250. This triple zigzag sail sewing machine purchased by a sail maker and repair in Goa, India.